It is obvious that Russia became a concern to the left only because Hillary lost. The Democrats along with some of the RINOs in Congress are afraid that they will get exposed to what they did to hurt Trump and help Hillary win, so they blame Russia. But, as we remember, Russia was given a “reset” button by Hillary and the Obama administration. In the next tweet, Scalise wrote that in March 2009: President Obama and Secretary Clinton hit the reset button on relations with Russia. Thank you, Rep. Scalise, for standing up for our President who is doing so much more in less time than others before him! Thank you for all those reminders. 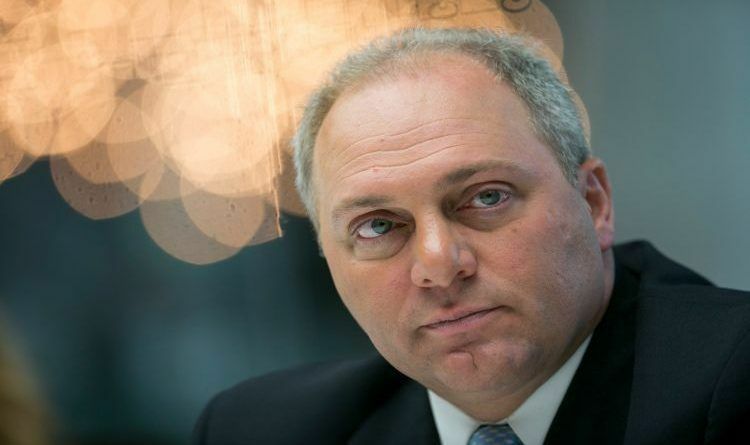 Despite all the true things that Scalise points out, you can’t tell facts to a liberal. They prefer to live in La-La land… You just can’t argue with stupid. If Hillary had won the elections, there would be no talks about Russia. Everyone knows that and yet the Democrats raise this propaganda against Trump to delegitimize his presidency. Also, Trump has been tougher on Russia than Obama ever was. If you don’t believe me, look up the facts on what Trump has done to Russia vs what Obama did to Russia.